The smooth voiced UTO delivered this one with all she has got inside of her and on this you can hear the sound of her sweet spirit. 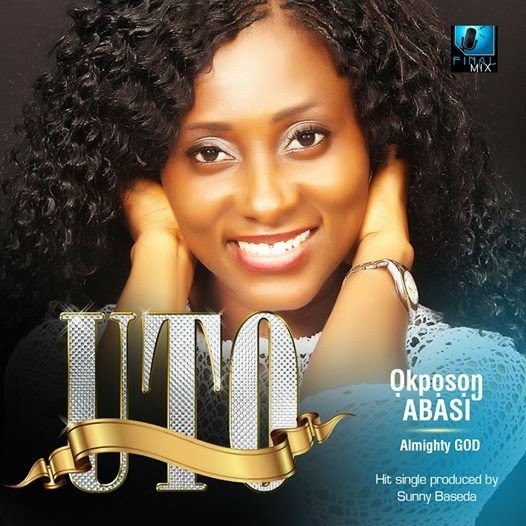 Okposong Abasi which is the translation for Almighty God in her local Language – Ibibio. This song is a worship song explaining how mighty God is. This song will inspire you to see how great God is above how you knew God to be. A mix of English and Ibibio language, good music, nice lyric and great production by the coolest – Sunny Baseda of Final Mix Entertainment. If you ask U.T.O what drives her, the answer would be that Singing worship songs brings healing to the church and what the church needs more than anything now is healing. Her music Career was polished and groomed by the several choirs she was privileged to minister with…The Victory Tabernacle Choir, The Royal People and the Destiny Mass Choir (The Vine Praise). For about 15 years, she worked behind the scene in these choirs grooming and building singers. A passionate and fiery worship leader, her mission is to raise a people of worship who would worship God in Spirit and in truth and at all times. UTO who is a Legal practitioner and the Managing Partner of her Law Firm is caught up with very busy daily schedule but she says ‘Your mission is where Your passion is and one can never be too busy for the Call’.